Hello you beautiful people, we hope you’re enjoying the last of the summer wine and reveling in the cool crispness that is everywhere now. And maybe picking apples, planning on baking pies and making apple butter <insert our Fall dreams here>. Yesterday was one of those surprising days that leave you with no doubt, you’re where you’re meant to be. We were invited by the wonderful Bre Cooper to join a bunch of bright minds at ‘Campus Citizen‘ in IUPUI’s Liberal Arts school to be their spotlit musicians. It all kind of felt like NPR’s Tiny Desk, where we got to share three songs, old, new and to come. Now we’ve done our fair share of interviews and played impromptu shows for unwitting crowds, but ne’er have we played with Juniper strapped to my back, adding her own vocals and giving me a whole new understanding of vibrato by bouncing around in her carrier. Ah, parenthood and being a musician. We’ve been playing with a full band for a bit, so going back to being a duo even for a little bit was quite a throwback. It feels good to know and see how far we’ve come and to say we’re pumped about our third album in the wings would be an understatement. So keep you’re eye out on our FB page for the link to the podcast! Oh, yeah and if you haven’t seen us live, you’re chance is coming my friend. We get to grace the Soldiers + Sailor’s monument on the circle on 10.10.15 at 12:30pm. 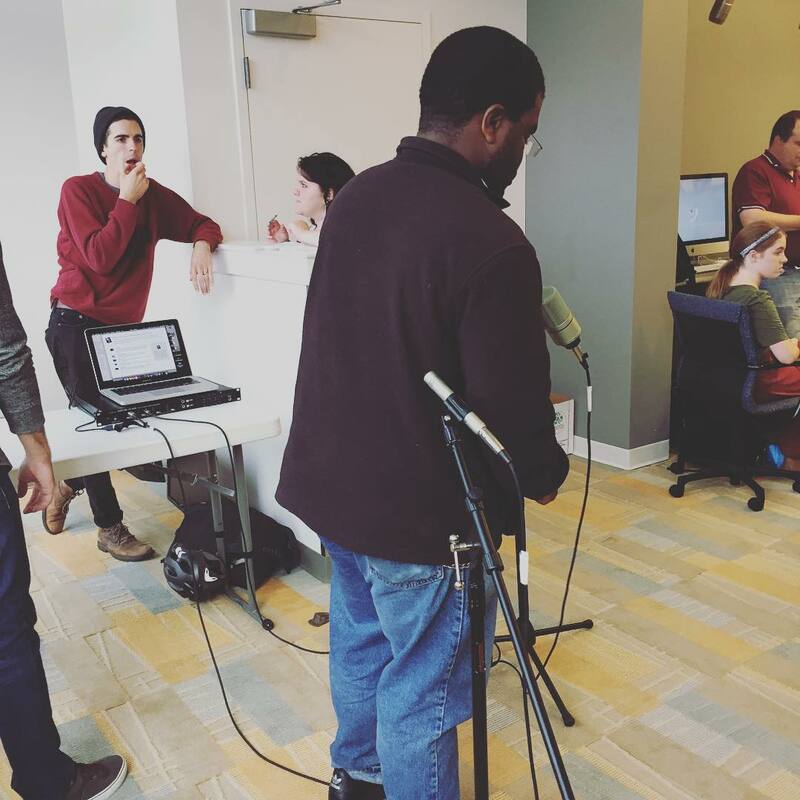 Tags: Campus Citizen, interview, IUPUI, live recording, tiny desk. Bookmark the permalink.